The City of New Port Richey has in excess of 9,700 water services, ranging in meter size from 3/4 inch to 10 inches. These services provide water to businesses, trailer parks, offices, restaurants, medical facilities, and individual and bulk customers. The Water Distribution Division maintains and repairs more than 131 miles of water lines. These water mains range in size from 1 1/2 inches to 30 inches in diameter. Maintenance consists of flushing the lines to prevent buildup of rusty water, and includes regular testing of all bulk meters and change-out or repair of household meters. Meters which have been removed are, whenever possible, reconditioned and placed back into service in another location. Repairs are often required with little or no advance notice and at any time of day. There is always someone on call for this purpose. Damage to the water lines can be due to contractors, utilities, or homeowners' digging, boring, or setting posts. 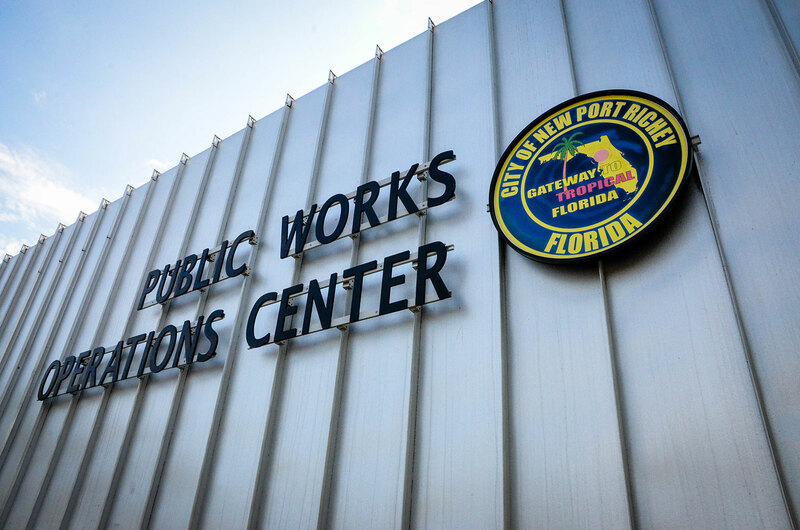 In an effort to prevent damage to water services, the City of New Port Richey participates in Sunshine State One Call, the statewide utility notification center. In response to receiving location requests, utility lines are marked to prevent damage.